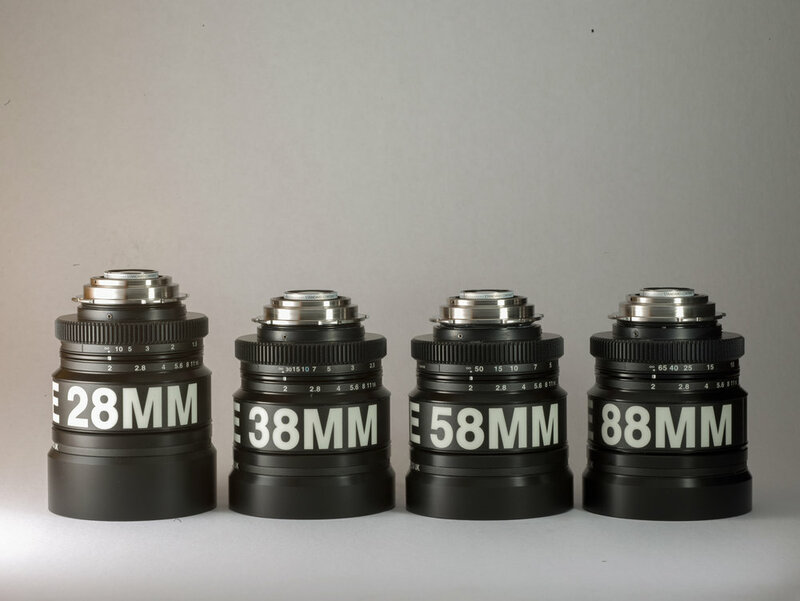 Unlike many other lens sets used today in film and photography, the amount of tests, footage, and overall peer-to-peer evaluation of these lenses are scarce. Taking on and committing to this set for a production can seem risky without knowing what images these produce, how they work, and what to expect out of them. I've carefully taken into consideration these factors, and pulled together a comprehensive overview and test of these lenses. Below you will find a variety of image quality tests, important information, and my overall review of these lenses as a DoP and 1st AC. This page will be updated as more information and tests are shot and evaluated. 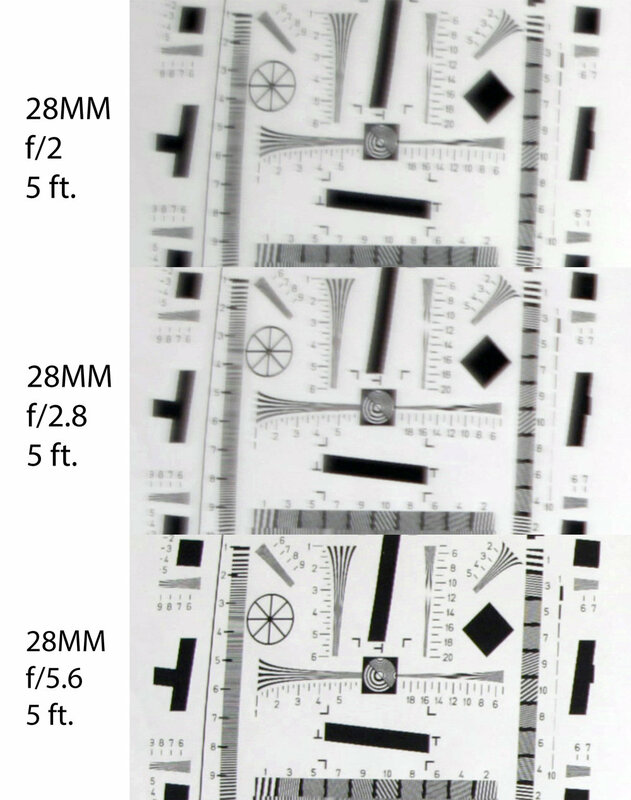 These simple tests show the sharpness of the lenses throughout the range. Consideration must be taken as wider lenses (such as the 28mm) need more cropping to produce the same plate as the more telephoto lenses. 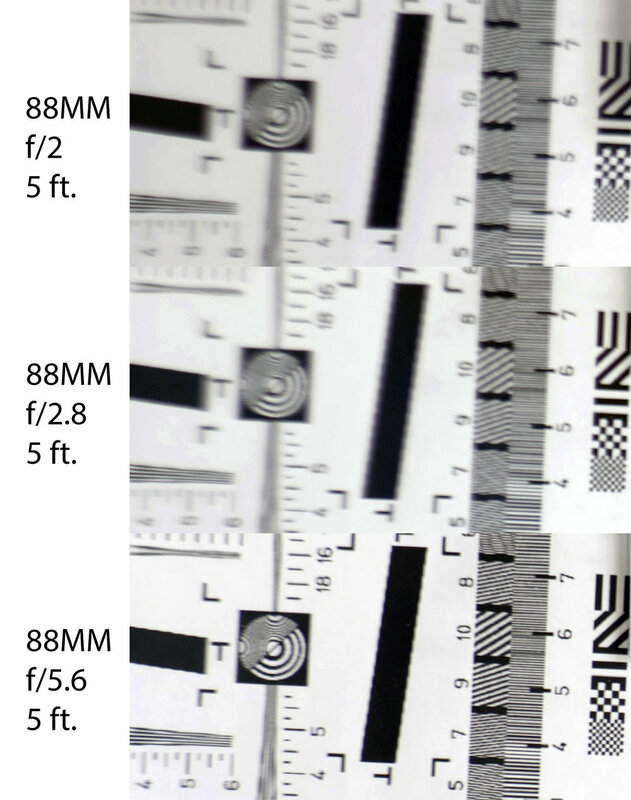 As you can see in this test, these lenses exhibit a sharp image throughout the standard aperture ranges. Like many vintage optics, a slight/soft/dreamy focus wide open is normal and apparent even in some of the most high end of vintage cinema optics. Additionally, the flares and feel of these lenses wide open are often sought after within a wide variety of production circuits. Taking a look at the upper left corner of the standard frame we see an interesting exhibition of soft/defocused edges, especially at an f/2. Reminiscent of ever-popular Kowa Anamorphic Prime set, the feel creates a pleasing soft vignette in images, but you will notice this is mostly diminished at an f/5.6. 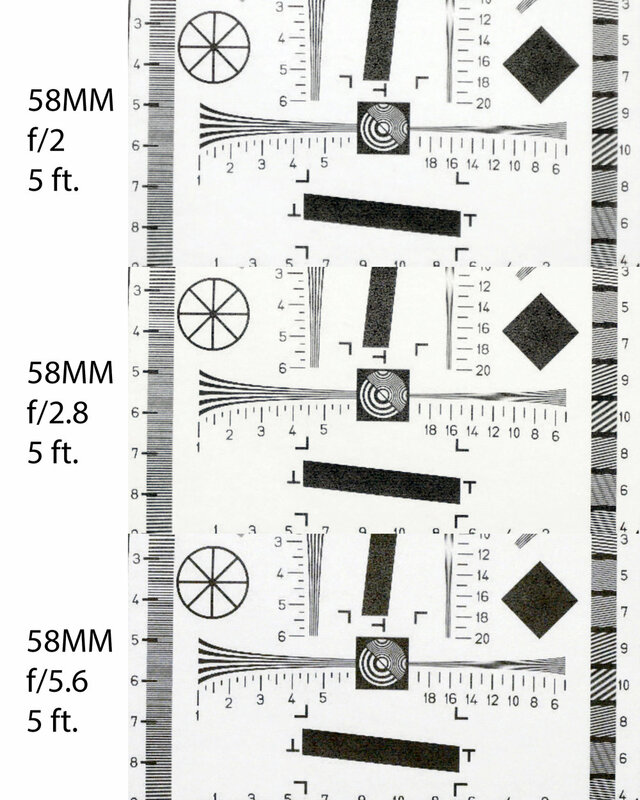 Checking lenses, especially vintage optics, for chromatic aberration and color replication is absolutely necessary in any lens evaluation. The design and optical composition of a lens is directly related how colors are refracted through the elements. What is interesting about the Apogee set is that it is a mix of vintage optics/coatings and modern optical elements and coatings. However, regardless of how modern or advanced optics become, aberrations exist in all lenses; and it is absolutely not a bad thing. 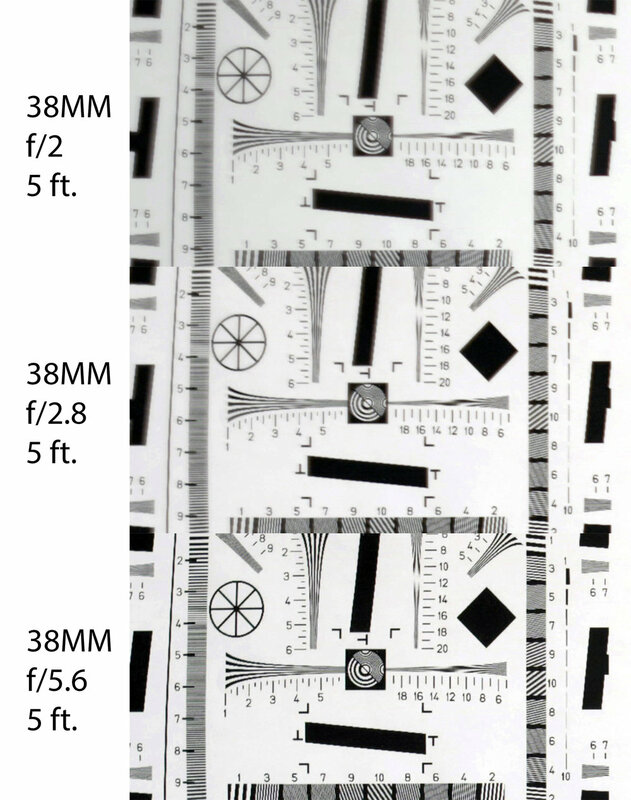 Richard Gale did an incredible job evaluating the historic base elements of these lenses and making sure that they all reproduce similar aberrations. 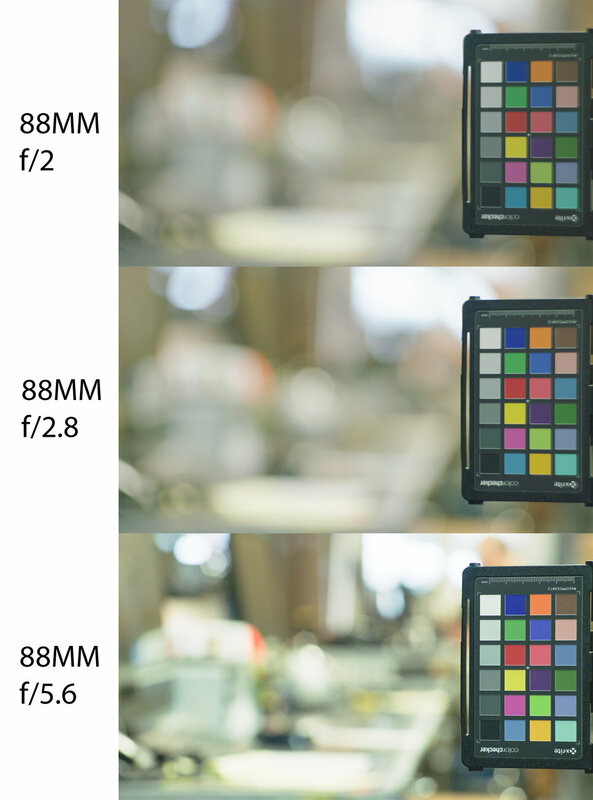 You can notice that throughout the range, each lens reproduces color very similarly to one another.